Concept car that eventually became the GS. Lost the sleek hidden door handles. 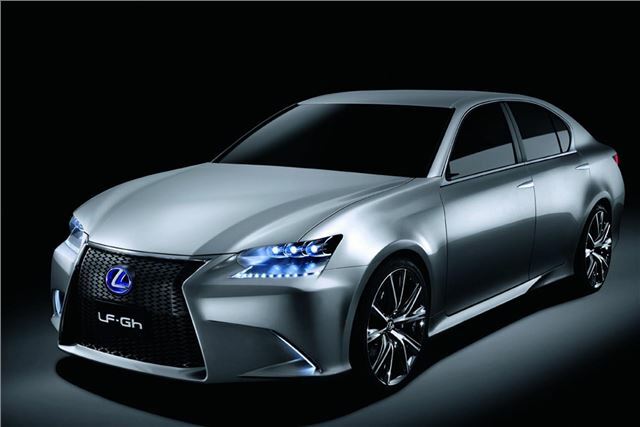 The Lexus LF-Gh concept made its global debut at the 2011 New York International Auto Show. The concept has been conceived as a redefinition of the luxury grand tourer, with a “clean sheet of paper” approach to design. The aim was to produce a perfect blend of style, performance, efficiency and environmental compatibility, while introducing the benefits of advanced, new technologies. The design process has brought about a refinement and evolution of Lexus’s L-finesses design philosophy – established since 2001 – with a bolder and more distinctive projection of what a premium segment model could become. 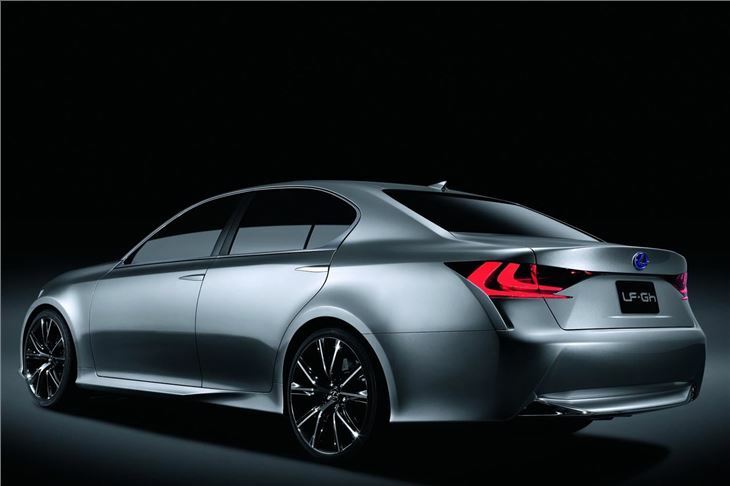 As a result, original ideas included in the new concept may migrate to future Lexus production models. The concept formed the basis for the 2012 Lexus GS.